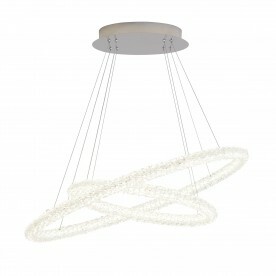 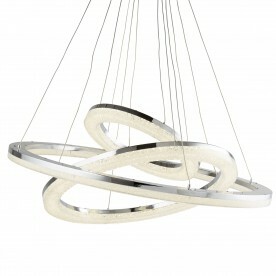 This chrome ceiling pendant features an entwined dual ring which suspends at an angle. 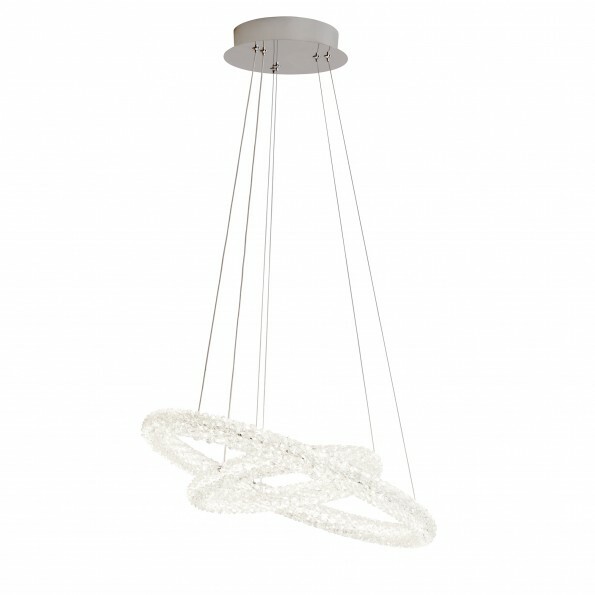 The clear crystals beautifully catch the light and create a dazzling effect. Two lights will beautifully brighten your home and this item would look stunning in a contemporary setting.